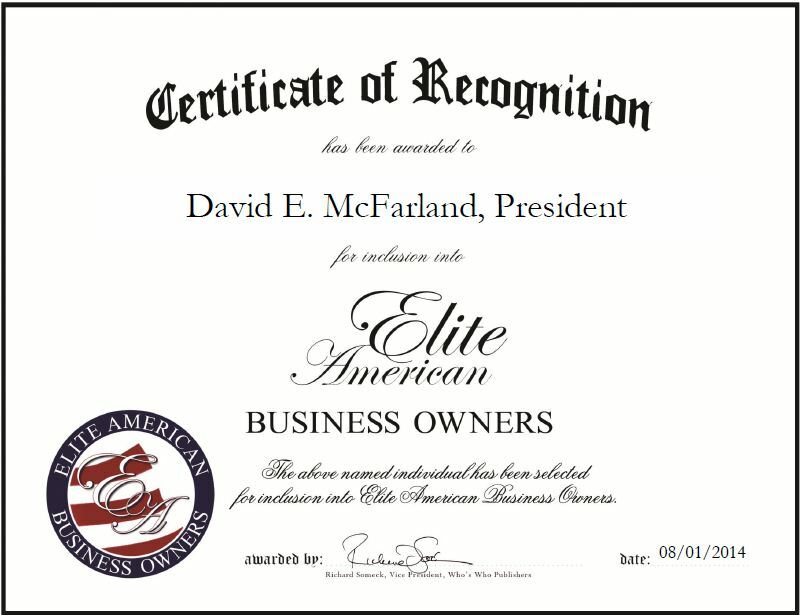 Tampa, FL, August 1, 2014, David E. McFarland, President of Quality Marine Refrigeration, has been recognized by Elite American Business Owners for dedication, achievements and leadership in commercial and marine refrigeration services. Mr. McFarland got his first taste of the refrigeration industry when he was 22 years old and realized he enjoyed the work. He has progressed throughout the industry for the past 34 years and has become a well-established leader who has garnered a reputation for his strong skill set and industry knowledge. For the past 17 years, he has served as the president of Quality Marine Refrigeration, a wholesale and retail refrigeration equipment company that offers commercial and marine refrigeration equipment to contractors, shipyards, fishing fleets and individual fishermen. The company now has six distributors selling the equipment and they also do service work. The company’s systems are used in a wide range of vessels in the United States, Samoan Islands, and in countries in South and Central American and Africa. An expert in operations oversight, Mr. McFarland is responsible for overseeing daily business operations, and responding to customer service phone calls from around the world. He also builds condensing units, double contact plate freezers, brine tanks, receivers, and components for the units. Mr. McFarland continues to build quality machines and serve the needs of many of the “old” turbo marine customers, and has developed many new customers in the fishing industry around the world. He attributes his success to his years of experience and quality service. In the coming years, Mr. McFarland would like to continue building his company and expanding its services. This entry was posted in Equipment and tagged freezers and brine tanks, marine refrigeration, shipping vessels, wholesale. Bookmark the permalink.